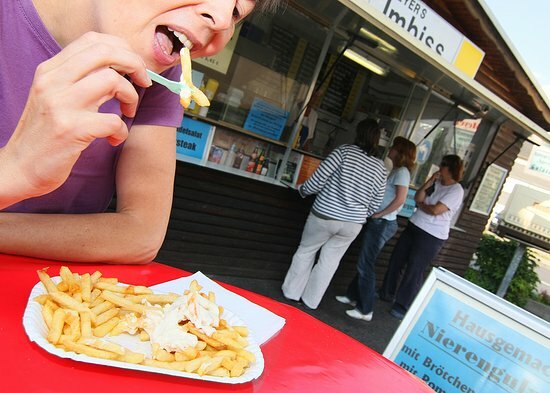 There aren't enough food, service, value or atmosphere ratings for Meyers Imbiss, Germany yet. Be one of the first to write a review! This place is located in the center of Cochem. The food is perfect, place is clean and the owner of the place is very kind to his quests. Get quick answers from Meyers Imbiss staff and past visitors.